There’s never enough time to celebrate St. Patrick’s Day, Philadelphia, so why not celebrate the night before? The annual Get Shamrocked party is upon us and we’re ready to make this year’s legendary. On Saturday March 16th we’ll deliver chilled pints, good cheer, and great music and they won’t slow down until the wee hours. 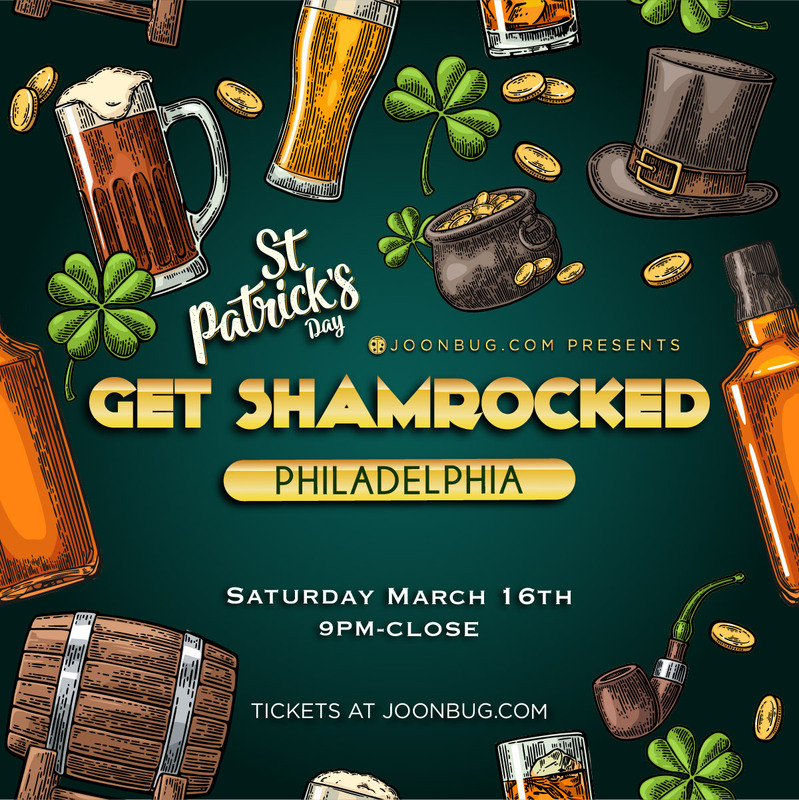 This is only one of the events in the festivity-packed weekend lighting Philly up this St. Patrick’s Day, so whether you've been going since Friday or just want to make Saturday extra fun, we're ready for you. Get pished with your favorite cohorts in green on what has become the best night of the year in Philadelphia. St. Patrick’s Day is redefined at the Get Shamrocked party.